The Saxon Leisure Centre is serious about health and fitness and strives to create an environment that is conducive to both. 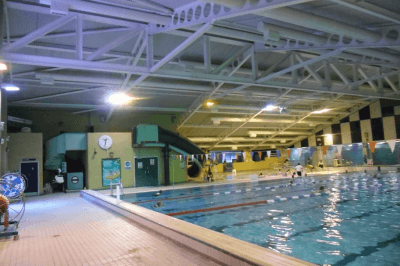 Clarity was invited to advise on improving the lighting of the main and learner swimming pools that, at the time, were lit by sodium lamps producing an energy sapping yellowish pallor. 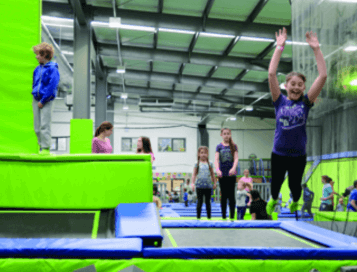 The obvious solution was to switch to LED floodlights that would reduce electricity and maintenance bills while filling the area with a choice of colour or white light. Knowing how to light an area, the type, number, beam angle, diffusion and position of lanterns, takes science combined with experience. We knew that a brilliant white light would give the water a crystal clear look while soft colour hues would create a warmer more mellow feel. 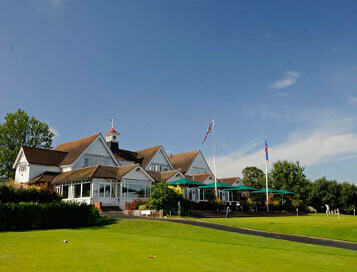 We therefore selected colour changing floodlights that operated across the desired spectrum. 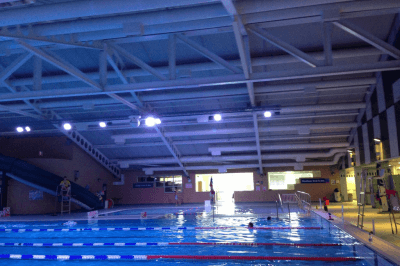 To achieve the desired effect the main pool required 8 Pulsar ChromaFlood 100W tri-colours at the ends of the pool with 20 Pulsar ChromaFlood 200W tri-colours over the water and to light the ceiling. In the learner pool we used 4 Pulsar ChromaFlood 100W tri-colour units. The floodlights were supported from 3m lighting truss environmentally protected from the hot and humid conditions. For public safety the lighting’s electrical supply is protected by RCBO’s that trip when they detect either current leakage or overcurrent conditions. The system is controlled from a Pulsar OS1, 12 button Outstation, linked to a Pulsar Replay unit. The Outstation is a wall mounted push button panel that can be programmed with numerous different lighting scenes.